It was always going to be a difficult task taking the weighty and epic tome that is Leo Tolsty’s War and Peace and try to condense it down to 6-hour long episodes. It is a task that was somewhat successful but not without some glaring faults and issues. For starters, the book covers a huge amount of time and also a huge collection of characters. TV series, most notably Game of Thrones, have dealt with this issue very well but have had longer to do it and condense the original stories down from the source material. This is where War and Peace struggles as you can’t help feeling like some character’s stories are either rushed or marginalised to make room for others. I haven’t read the original text but certain stories just seemed to develop at break-neck speed. 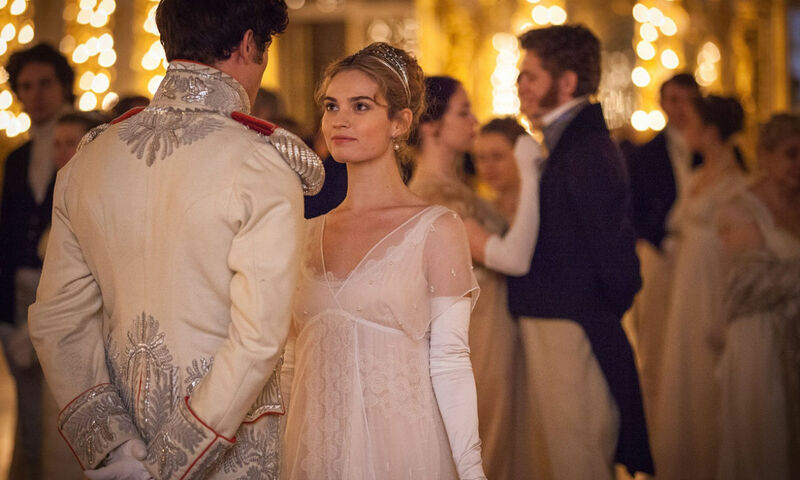 Lily James’ character, Natasha, who incidentally feels sidelined for at least the first two episodes, falls in love with two men very deeply in the space of two episodes. At one point she meets a man at the beginning of the episode and then wants to jeopardise her happiness, status and life by running away with him sixty minutes later. It just doesn’t ring true and unfortunately there are many examples like this throughout the series. It also means that some characters seem to serve a purpose rather than be legitimate parts of the story in their own right. 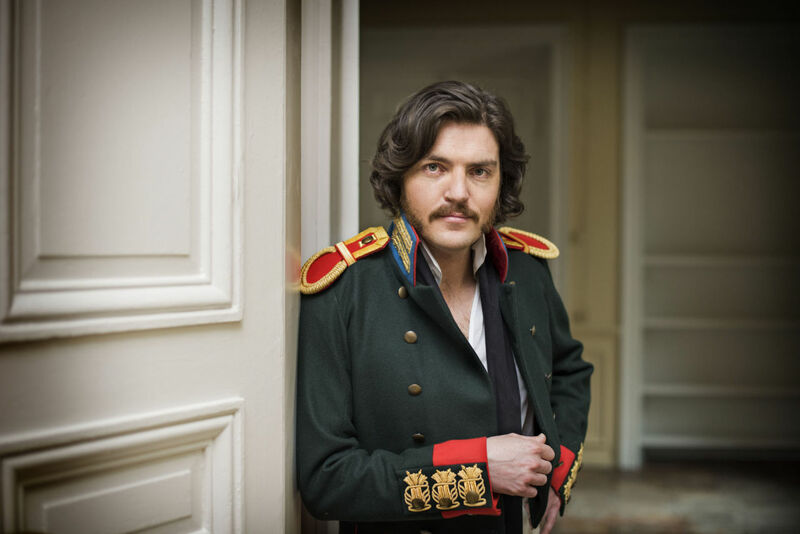 One example is Tom Burke as Fedya Dolokhov. He is purely a scoundrel, being the foil for at least three characters before fading off into his own sunset. Again, he isn’t the only example. 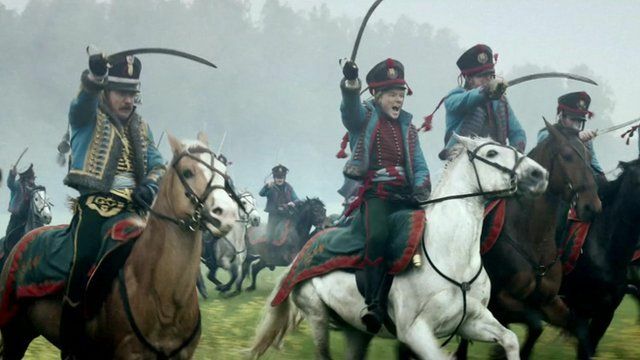 War and Peace should have concentrated much more on the characters who are most interesting and forgone with the stories which remove focus and interest. Like any multi-character story, there are certain characters you just don’t care about so whenever the story shifted to Prince Andrei Bolkonsky, I felt time beginning to drag. The story and character who holds most interest is Paul Dano as Pierre. He suffers from the rushed narrative in the first episode, going from drunken fool to rich nobleman, but then has a truly epic journey. He gets to have a duel, love affairs, see poverty and experience wealth. His first-hand witnessing of the battlefields is one of the higher points of his story and the series. In fact, the War in War and Peace was the saving grace of the series. Regardless of which character was involved and what love story was inter-connecting with others, the battle brought home the harsh realism of the time period. From the explosive trench warfare, to the suicidal marching across battlefields down to the awful conditions in the field-hospitals, the real show here was how awful warfare was in the Napoleonic wars and the affect it had on individuals, as well as their family and wider country. Overall, War and Peace was ambitious and met a lot of that ambition in bringing a legendary epic book to the screen but it needed more room to deliver it properly. Stories felt rushed, characters felt under-served and sub-plots lacked necessary depth. Luckily, Paul Dano as Pierre was a saving grace, as was the excellent battle scenes and showcasing of the harsh realities of war. Best Episode – Episode 5: The best showcase of battle and war in the whole series and the best aspect of the show. Should there be another season? – Not for a one-off adaptation of the book.